Patients with jawbone deterioration were previously considered poor candidates for dental implants because they lacked the bone tissue necessary to support the posts. However, Dr. Navid Baradarian can perform a ridge augmentation at his office in New York, NY, to boost your candidacy for implants. Patients can take advantage of surgical treatment with a range of sedation options so that they remain comfortable throughout their appointment. A ridge augmentation restores the structure and strength of the upper or lower alveolar ridges. Located directly behind the front teeth, these bony ridges provide essential support to the teeth. When you lose teeth, these ridges often recede, leaving your gum line sunken and the bone too thin to support dental implants. With a ridge augmentation, Dr. Baradarian can rebuild the alveolar ridges, restore your dental implant candidacy, and protect your facial structure from additional changes. Patients who have not received treatment for missing teeth for an extended period of time are often excellent candidates for ridge augmentation. In many cases, the consequent changes in their gum line will leave dental restorations looking off-kilter or unnatural. If you lack sufficient bone and gum tissue to support dental implants, we can plan a custom ridge augmentation to restore your candidacy and help your new prosthetic look and function great. 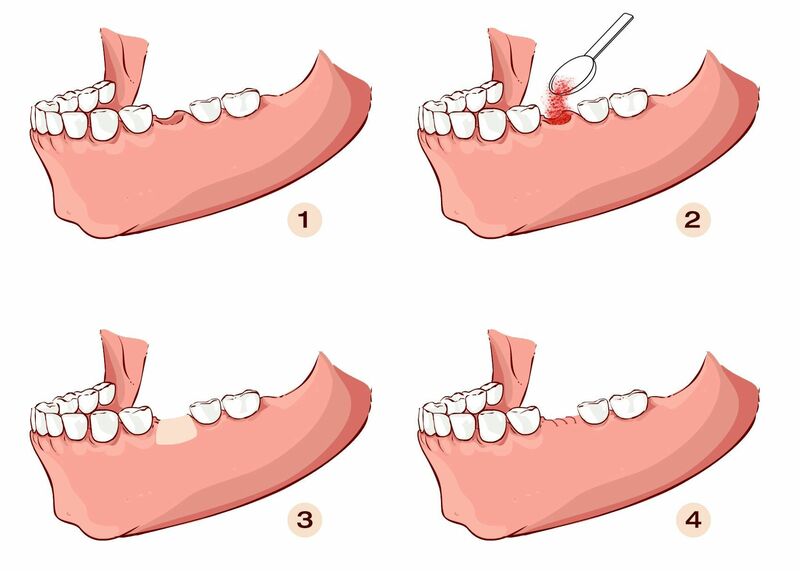 We may also recommend the procedure for patients who need to have a tooth removed before their dental implant is placed. On the day of your surgery, the doctor will make an incision in the gum line where your missing tooth used to be. After accessing the underlying bone, he will use either harvested bone, donor bone, or biocompatible bone grafting material to restore jawbone tissue. Once the graft is in place, he will close the incisions. Before leaving the office, you will receive detailed instructions on how to facilitate your recovery. As you heal, the grafted bone will fuse with your existing jawbone in a process known as osseointegration. If successful, the graft will help trigger new growth in your jaw over the next few months. To ensure the success of the procedure, Dr. Baradarian schedule another appointment at his office to conduct 3-D imaging using a cone beam scanner, which allows him to assess the quality of your bone and carefully plan the placement of your implants. As a specialized periodontist, Dr. Baradarian considers both the aesthetic and functional value of your treatment when performing each procedure. He can perform a ridge augmentation as part of a restorative treatment plan or as preparation for dental implants. To begin planning your restorative treatment, call us today at (212) 581-4646 or contact our team online.